It's nice to see a critical commentary about MGH. Please, more! And how about YNHH? You're current newsletter made a great point about the PRIME trials. Depending on the nature of the MGH-PA brochure (Is this an invitation to a specific event? A "we-exist" brochure? A "save-the-date" brochure? ), the ACCME may not require that MGH-PA/Elsevier provide disclosures on the material. In any event, the commercial supporters for the 2008 MGH-PA curriculum (Lilly, AstraZeneca, Janssen) can be found at http://www.mghcme.org/?page=organization/supporters. The program curricula will be certified by the Elsevier Office of CME, which is accredited by the ACCME (http://www.mghcme.org/?page=organization/accreditation). I found this information very easily at the MGH-PA website, through the link you provided. If you believe that MGH-PA/Elsevier are not in compliance regarding their disclosure of commercial support, contact Murray Kopelow, MD, MS(Comm), FRCPC, Chief Executive of the ACCME at mkopelow@accme.org. Then let us know what the response is. I think you're splitting hairs. The entire MGH Psychiatry Academy enterprise could not exist without industry support, and it's outrageous that this mailing did not even mention it. I don't know whether they have run afoul of ACCME regulations, but they have flunked the sniff test of transparency and honesty. And I heartily disagree that the industry support information was easily found on their website. It is disclosed nowhere on the home page, nor is it mentioned in any of the pages listing the detailed agenda of upcoming symposia. Furthermore, individual faculty disclosures are, as far as I can tell, completely absent from the entire site. To find out that Eli Lilly, Astra Zeneca, and Janssen are supporting the program, you have to click on "about" which is listed in the tiniest font and buried at the bottom of the page, notable "below the fold." Well, I guess it's how you define "easily." I certainly didn't find it difficult to locate the much-desired support information that you said wasn't disclosed. Now if the CME brochure does list specific events and faculty, my understanding is that the program's commercial support and faculty disclosures should be listed. But why not inform the ACCME--the organization that's supposed to oversee this kind of stuff--of your objections regarding the apparent lack of disclosure on the brochure (which you did state was one of your objections)? The ACCME's response (and I'd be surprised if you didn't get one) is probably of interest to your blog readers. The ACCME (not me) may well split hairs in your estimation on the point of disclosure, but that would also be educational. As another thought, why not inform MGH-PA and Elsevier (if you haven't already) of your concerns? Maybe they'll provide a link to the support at the website that's transparent by anybody's reasonable standards. I may send Dr. Kopelow a letter about this, although I dare say that he must be tired of hearing from me. I've sent him letters outlining much more egregious instances of non-compliance regarding a CNS Spectrums piece (see blog entry:http://carlatpsychiatry.blogspot.com/2007/08/cns-spectrums-responds-sort-of.html) and a Journal of Clinical Psychiatry CME supplement (see http://carlatpsychiatry.blogspot.com/search/label/Journal%20of%20Clinical%20Psychiatry). On the CNS Spectrums issue, I eventually received a letter from Dr. Kopelow informing me that an investigation had been opened, and that was a long time ago. I never received a response on the J Clin Psych issue, but the journal is about to publish my complaint in their letters section. Poor compliance with various aspects of ACCME's standards of commercial support occurs with such regularity that reporting such instances would be a full time job in itself! Ok, useful information. If you have the brochure or know where I can find it, I wouldn't mind taking a look. Thanks. i have the same brochure, and pharma supporters of the MGH-PA are clearly listed on page 8. also, there is a Faculty Disclosure section, which states full disclosures will be provided at the events. i think this seems well within ACCME guidelines. Apparently there are several brochures going out. The one I received has the following copy on the outer envelope: "Massachusetts General Hospital Psychiatry Academy is better than ever in 2008...." It is a 5" X 8" envelope and there are three separate pieces inside. The main brochure is a large piece folded up without page numbers and says "Event Calendar March-June 2008". There are no disclosures on any of these materials. Sometimes these things end up on the internet; I've found tons of stuff via digging,including detailed CME events and sponsors, etc. Have you thought about scanning the paperwork you received and posting it here? Sometimes photos are best descriptions. Dan: I don't understand why you are so agitated about this subject. Tell us if you have ever been more influenced in deciding on a treatment by drug company propaganda than by a patient's response. what about if they had no commerical support at the time the piece was created? surely MECs cant go back in time and retroactively edit all materials. couldn't this be a possibility, given that surely their website and other materials apparently contain disclosure of pharma support? I read the comments to these postings and I have to ask out loud who can responsibly challenge the reporting at hand here. If you are a health care provider, especially one who can prescribe, you have to at least ask yourself why are you not concerned about the role the pharmaceutical industry has in trying to influence prescribing habits. 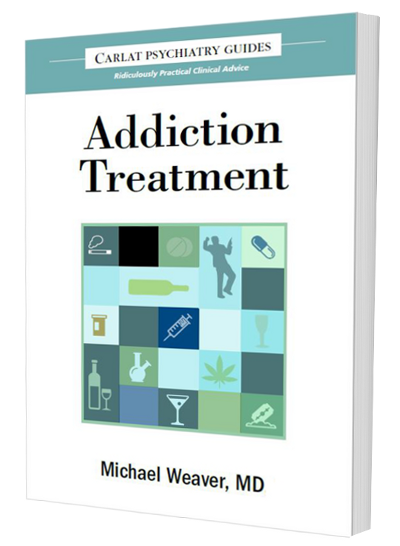 I have been practicing for 15 years now as a psychiatrist, and I am fairly much dumbfounded when I talk or hear colleagues defend their use of meds fairly much solely on the word of reps or industry sponsored literature. 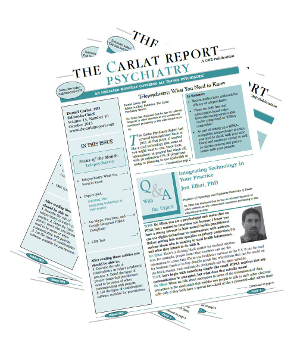 When I learned of Dr Carlat's Newsletter several years ago, I was both happy and relieved that someone was making the effort to discuss psychiatric interventions for the sake of what is out there in as much an unbiased and objective manner. So, my comment to those who are offended or confused by what this blog and newsletter is offering, for what it is worth to said individuals, is some of us as concerned providers to our patients want what is responsible and prudent care options, NOT what will put money in people's wallets! 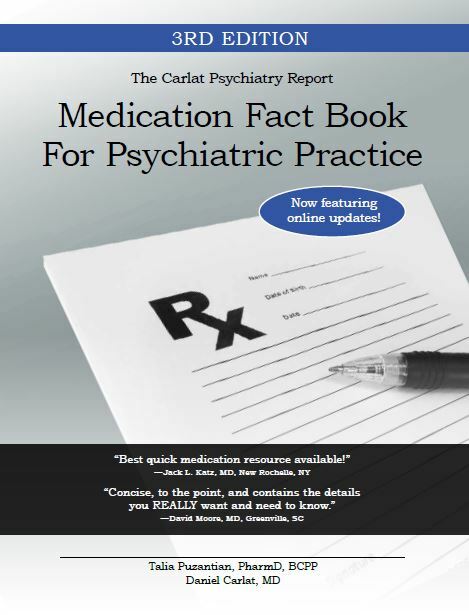 I do not speak for Dr Carlat in any manner, I just hope he continues his efforts to expose this travesty in Psychiatry. 1. Harvard Medical School was the CME provider for the previous 3 years of the MGH-PA.
2. Trinity provided CNE and CPE for the first 2 years which was eventually provided by PRIMEDIA themselves this last year. 'Take the money, say nothing'. Wasn't that directive taken from the prostitution industry?